I am in my 22nd year as an English professor at Houston Baptist University, and I have never been so excited! In 2011, we unveiled our new Liberal Arts Core: a carefully constructed and coordinated curriculum that includes classes in literature and foreign language, Christian history and theology, Western and American history, philosophy and logic, government and economics, art and music, and math and science. It is not a loose and fashionable cafeteria plan, where students choose whatever strikes their fancy, but a true classical-Christian core, in which students are invited into the Great Judeo-Christian/Greco-Roman Conversation that begins with the Bible and Homer and continues into the twenty-first century. It is not narrowly utilitarian in focus, seeking only to train its charges for a specific skill or career, but broadly liberal, seeking to free the mind from the idols of the marketplace and equip it for critical thinking and creative contemplation. It is conveyed not through textbooks, which seek to bend the past to fit our own modern prejudices and presuppositions, but the actual Books themselves, treated as repositories of the wisdom of the past and vehicles for reaching at transcendent, cross-cultural truths. It is not driven by the social sciences, with their reductive and mechanistic view of man as a product of social-political-economic forces, but by the humanities, with their ennobled yet realistic view of man as a creature made in God’s image but fallen and in a state of rebellion. It is not postmodern and multicultural, offering a relativistic view of knowledge that doubts not only the existence of Truth but our ability to know or communicate it, but traditional and holistic, seeking after a unified vision of the Good, the True, and the Beautiful. Most of all it is unapologetic in its belief that Great Books and Ideas do exist and that a direct wrestling with such Books and Ideas offers one of the best training grounds for shaping virtuous, morally self-regulating citizens who love God and their neighbor. In short, it is cutting edge…for the fourteenth century! Imagine, then, my delight when I read Bradley G. Green’s The Gospel and the Mind: Recovering and Shaping the Intellectual Life (Crossway, 2010) and found in its pages a powerful Christian-humanist vision of education that complements in the theoretical realm what my university is doing in the practical. No wonder the book features an endorsement from Robert Sloan, the President of Houston Baptist University. Green begins his book with a simple statement of historical fact that has been overlooked, or, to be more accurate, obscured, by the Academy: “wherever the gospel takes hold of a culture, you inevitably see academies, schools, and institutions of learning develop. They develop not only to teach people how to read and understand the Bible, as important and central as that is. But wherever the gospel goes, it seems to generate intellectual deliberation and inquiry.” I constantly have to remind my students—and myself, since I too am a product of two-and-a-half centuries of Enlightenment propaganda—that the Catholic Church did not usher in the Dark Ages; quite to the contrary, it was the Church that ushered Europe out of the Dark Ages. It was the Church as well that invented the university and laid the theological, philosophical, and aesthetic groundwork for the arts and sciences. True, it was Socrates, Plato, and Aristotle (and their respective disciples and schools) who gave birth to the humanistic ideal of knowledge pursued for its own sake; but it was the Church that not only spread that ideal to a wider audience and institutionalized it, but gave it a firm foundation that it lacked in ancient Greece. Apart from the central Christian beliefs that we were created in the image of a holy, transcendent God who is at once the origin and standard of goodness, truth, and beauty, that history is meaningful and is going somewhere, that though we are fallen God intervened within human history to redeem our hearts, souls, and minds, and that God as Logos guarantees the meaningfulness of language, the intellectual life cannot thrive or even, in the long run, be sustained. Green makes it the burden of his book to explain why this is the case. Perhaps the most shocking aspect of HBU’s new Liberal Arts Core is that it requires all students to take four semesters of Western and American history. I call this shocking because, of all the humanistic disciplines, history has perhaps suffered the most. What little “history” our primary, secondary, and college-aged students receive today is more often than not a disguised form of anthropology (studying the rites and rituals of native American Indians), sociology (exploring how political and economic networks of power determine the way people think and behave), or soft Marxism (exposing how minorities and the lower classes have been consistently oppressed by aristocrats, clerics, and the bourgeoisie). Though it is a good thing for students, especially Christian students, to be aware of the injustices in our world and to be encouraged to use their God-given gifts to help alleviate some of those injustices, such “consciousness raising” does little to train students in history. In fact, if truth be told, it generally dismisses, if not altogether obliterates, history as history. Talk to anyone who has been educated since the 1960’s, and you will find that they have very little sense of the shape of history. They may recognize such names as Pericles or Caesar or Charlemagne or Elizabeth, but they lack the ability to place those names into a historical narrative. The rise and fall of kingdoms—and the virtuous and vicious decisions of the great men and women who provoked their rise and fall—has far less resonance in the modern mind than today’s stock market figures, or yesterday’s political scandal, or the box office records of the latest action film. Mesmerized by a simplistic, evolutionary view of intellectual, aesthetic, and moral progress, we take for granted that we are in the right and they (the unenlightened people of the past) were wrong. Such a view of our tradition and our forebears breeds arrogance—C. S. Lewis called it “chronological snobbery”—and cuts us off from all that we might learn from a full engagement with the past. There was a time when our colleges and universities stemmed such arrogance by immersing their students in the Great Books and Ideas of the Western Intellectual Tradition, but that time is long gone. “While the academy used to be a stronghold of love for the past—relishing old books, old languages, old truths—the contemporary academy,” Green laments, “seems to have lost its nerve in regard to the importance of the past and often seems little concerned with passing on an intellectual tradition.” Why? Though I intimated above that the great divide is the 1960’s, that decade only reaped the pedagogical harvest of the secular humanist field sown during the Enlightenment. When God was removed from the public square in general and the academy in particular—or replaced by a deistic, watchmaker God who is uninvolved in history—the educated elite slowly replaced reverence and gratitude for the past with utopian, progressivist visions for the future. In the absence of a Creator God whose sovereign plans are worked out, in part, through historical events and human agents, the past was eventually reduced to, at best, a curiosity shop for antiquarians and, at worst, a burden to be cast off by those seeking intellectual, spiritual, and aesthetic liberation. When the university came to view history, not as an authoritative teacher to turn to for insight and guidance, but as a false path to turn from on the evolutionary road to enlightenment, it lost its faith in the value of history, and, by extension, the value of the liberal arts as the prime training ground for the life of the mind. While Green, backed by the weight of Augustine and the medieval tradition, asserts that “any truly Christian and liberal education will be one in which students are immersed in the central texts of the past—the literature, history, philosophy, and theology of millennia,” the majority of American universities, both secular and religious, have traded in their liberal arts core for utilitarian programs that eschew the “central texts of the past” in favor of skill-based classes marked by contemporary relevance. Although the Church should ever be the primary “pocket” for keeping alive the memory of “the faith which was once delivered unto the saints” (Jude 3), when it comes to that wider historical memory that takes in “the literature, history, philosophy, and theology of millennia,” it is the Christian universities—and, increasingly, classical-Christian academies like Green’s Augustine school—that are best poised to preserve and promote the remembrance of things past. A base-level commitment to memory is indeed essential if Christian universities are to reclaim and rehabilitative the life of the mind—but it is not enough. Along with acknowledging God’s sovereignty over creation and history, we must accept and teach that history is going somewhere: that it not only has an ultimate origin (Greek: arche) but a purposeful end (telos). Though modern utopianism, progressivism, and scientism all look to the future, the vision that underlies them is not, at least in the biblical sense, teleological or eschatological. They put their faith in the future that they long to build, but they do not trust that that future has been envisioned by the God of history and hardwired into us by our Creator. “Instead of seeing motion as headed somewhere,” Green explains, “modern thinkers came to see motion as simply motion, with no particular goal or end in sight.” Or, to put it another way: history can (and should) be manipulated by advances in technology, but that does not mean it is inherently meaningful or is moving toward a mythical appointment with destiny. According to Green, “the notion that we are all pilgrims on a journey to the city of God was the default mode of thinking, the cultural consensus of the Christian West.” It was simply understood that we, both as a species and as individual human beings, were endowed (that is, gifted) with purpose by our Creator and that, as such, one of the key goals of our lives, our studies, and our careers was to discover and fulfill that purpose. At the highest level, that purpose was to seek after the beatific vision, to behold God, not through a glass, darkly, but face to face. Such was the supreme goal of every individual made in the image of God, a goal whose realization was aided, rather than distracted, by the cultivation of the liberal arts. Such was the high goal of the student of the liberal arts. Alas, once this telos, this purposeful end of achieving the beatific vision was abandoned by the public square, “then lost with it were the reasonsfor doing things that have meaning only in relationship to that larger telos”—things like studying the past through a coordinated, classical-Christian liberal arts core. At this point, some of my fellow believers may be afraid that either I or Green is advocating an Enlightenment faith in the primacy of reason and the essential goodness of man. Please let me be clear: neither I nor Green nor Houston Baptist University denies the radical nature of the Fall. All aspects of our being—physical, emotional, volitional, and rational—were subjected to the devastating impact of man’s first disobedience. 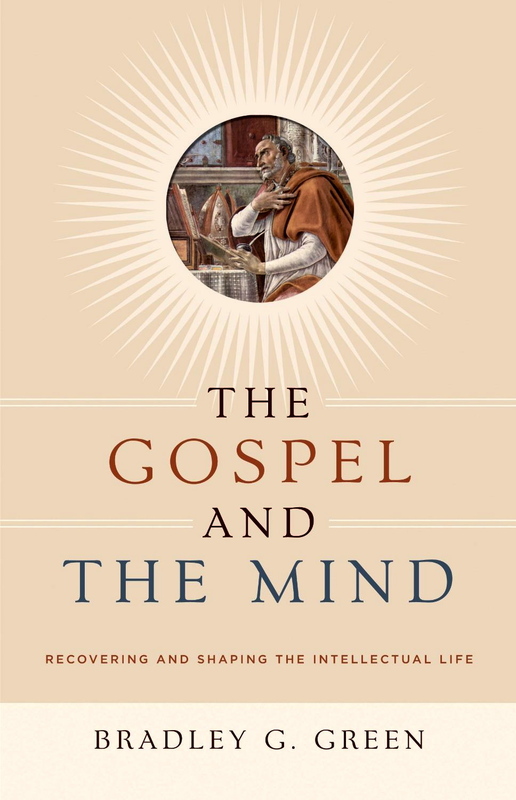 Indeed, one of the key reasons for Green’s argument that “the Christian vision of God, man, and the world provides the necessary precondition of the recovery of any meaningful intellectual life” is that the gospel alone has the power to so redeem the will and reorient the mind as to set it back on a God-ward, which is to say Truth-ward, trajectory. As he does throughout his book, Green turns first to Augustine for guidance on how faith informs and directs understanding. In his survey of Augustinian insights, he quotes this trenchant sentence from On Christian Doctrine (which work undergirds “Writing for Wisdom,” HBU’s radically traditional reworking of freshman composition): “unless we walk by faith, we shall never be able to reach the sight which does not pass away but endures, when with our understanding purified we cleave to Truth.” Augustine does not here deny the possibility of pre-Christian writers like Plato, Aristotle, Cicero, and Virgil touching on real, if limited truths about the nature of God, man, and the universe; rather, he makes plain that the final purpose (telos) of study, to prepare the mind for the beatific vision, cannot be accomplished apart from what Paul refers to as the “renewing of your mind” (Romans 12:2)—and that renewing cannot be accomplished apart from the Cross. In order to tease out more fully the teachings of Augustine, Green surveys briefly the writings of Hugh and Richard of St. Victor, focusing in particular on how they “emphasize the moral state of the knower.” Study, Green asserts, is not a morally neutral enterprise: “knowledge is difficult, if not impossible, for the person whose will is misdirected, or for the person who is not led by Christ, who is the truth.” There is a deep and inextricable link between the love of God and the love of the Good, True, and Beautiful: the one cannot exist without the other. One of the current banes of education is the steep rise in incidences of plagiarism among students of all ages. Though it is right and proper for universities to implement strict penalties for plagiarism, such utilitarian solutions are ultimately powerless to change the hearts, minds, and wills of students. Plagiarism will end only when students come to see and understand and feel the intensely moral business which they are about. In Writing for Wisdom, which is required of all HBU freshmen, we hope to drive home this point by introducing students to the educational principles laid down in Augustine’s On Christian Doctrine. Among the many challenges Green issues to Christian educators, this one is, I believe, the most essential: “Christians need to ask how we might construe the intellectual life in ways that are redemptive, holistic, and enduring. The life of the mind, the act of knowing, is not a morally or spiritually neutral endeavor. To truly think God’s thought after him, indeed to truly think in terms of a coherent view of the whole, we must think in a way consonant with the reality that this is God’s world as understood on God’s terms. Christians need not be embarrassed or timid about speaking about the intellectual life in explicitly Christian terms and categories.” And, by extension, we need not be embarrassed to speak of professors as stewards of the Tradition and students as disciples whose study of the liberal arts will change not only their thinking but their actions, decisions, and interactions with God and neighbor. Yes, the students who attend our schools are in desperate need of a wake-up call and a reality check, but they won’t get it until we—the administrators who run the schools and the faculty who teach the classes—come to see and understand and feel that what we are about is serious business. Too many of us have bought in, perhaps unconsciously, to the postmodern belief that truth is elusive and cannot be contained in a canon of books or a set of doctrinal statements or a grand, overarching story (or metanarrative) that explains why we and our world are in the state that we are. Green deftly exposes the assumption that underlies this postmodern skepticism: “The contemporary claim (heard, if in a softer form, from some Christian thinkers) that we cannot possess any sort of metanarrative explaining and giving purpose to all of human life is at its heart a rejection of the notion that God has the ability to speak, and humans have the capacity to hear and understand such speech.” The Enlightenment, in its goal of refounding all knowledge on rational principles (rather than revelation) and the collection of facts (rather than the journey toward truth), did far more than eject God from the public square: it stilled the divine Voice. Green argues, along with a number of other critics, that postmodernism (particularly deconstruction), far from rejecting the tenets of the Enlightenment, marks an extension of modernism into the linguistic realm. Once God’s Voice was silenced, it was only a matter of time before words (signifiers) became unglued from any type of final transcendent meaning (signifieds). According to Derrida and his deconstructive heirs, the words we use cannot be traced back to any fixed point of reference that is not itself part of our shadowy, relativistic world of signifiers. Or, to put it another way, our words (and the creeds and books and poems that are built upon them) exist in isolation from any ultimate origin (arche) or purposeful end (telos). What this linguistic entropy has meant in the real world of the classroom is that even when the liberal arts are taught, postmodern skepticism over the meaningfulness of language has prevented students from encountering in the Great Books of the Western Intellectual Tradition any absolute form of Goodness, Truth, or Beauty. As a result, their minds are not illuminated, their souls are not convicted, and their wills are not tempered. But this need not be the case, at least in Christian schools that believe John’s testimony that through the Incarnation of Christ, “the Word was made flesh, and dwelt among us (John 1:14). Genesis tells us that God spoke the world into being, and John tells us that apart from the Word (or Logos) nothing was made (John 1:3). Genesis tells us further that we were made in the image of God, and the entire weight of scripture loudly proclaims that the God who made us is a God who speaks, who communicates. Words have meaning not only because God gives them meaning but because God himself is Meaning. And that Meaning has entered physically into our world. The Word made Flesh, in addition to giving history its middle point, baptized words (and images) as potential bearers of divine Presence. Thus it is that Green can extend his simple but profound thesis even into the daunting realm of postmodern linguistics: “Only the Christian vision of God, man, and the world can explain why words matter. The Christian vision is the only one that can account for the meaningfulness of words.” Green is right, of course, and because he is right, the hope remains that we in the twenty-first century can learn, really learn, from the great writers and thinkers of the past. Modernism and postmodernism would imprison our students (and us) in a narrow contemporary box of ideas and images; the classical liberal arts, when energized by a twin belief in the Word made Flesh and the Imago Dei, can free them from that box and set them off on a great voyage of discovery. Let it not be said that our Christian universities steered away from the honor and adventure that a full engagement with the liberal arts promises because we were blinded by an overly pragmatic (and timid) view of that which is useful. Let us instead do our best to prepare our students for the true goal for which they (and we) were made: to look on Aslan face to face. Books mentioned in this essay may be found in The Imaginative Conservative Bookstore. Essays by Dr. Markos may be found here. Louis Markos, Professor in English & Scholar in Residence at Houston Baptist University, holds the Robert H. Ray Chair in Humanities; he also teaches the freshman classical-Christian curriculum for HBU’s Honors College. He is author of Restoring Beauty: The Good, the True, and the Beautiful in the Writings of C. S. Lewis, Apologetics for the 21st Century, and From Achilles to Christ. His latest book is On the Shoulders of Hobbits: The Road to Virtue with Tolkien and Lewis. This essay appeared in St. Austin Review and appears here by permission (with small revisions).